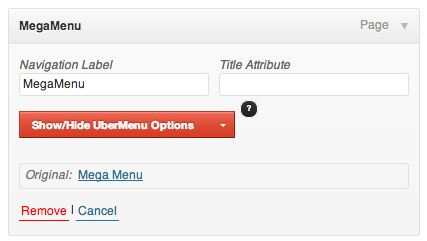 Understanding UberMenu Layouts is very important to being able to construct the menu you envision. Once you understand the foundation, you can begin building more complex layouts. 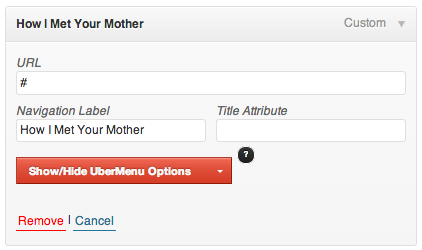 For those familiar with HTML menus, note that UberMenu uses the standard semantically hierarchical ul / li / a format that normal flyout menus use. UberMenu basically transposes the normally vertically aligned second level menu items into horizontal alignment and flattens the third level; the second level LIs then create the submenu columns. This article provides an overview. Here are the detailed sub-articles that dive into each area more in-depth, which you should read after reviewing this overview. First, let’s start with some nomenclature so that you can understand the support guide and communicate effectively in the support forum. 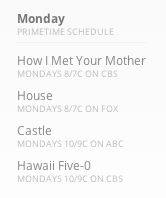 This is the menu bar. It contains the top level menu items. Menu Bar Positioning – width, alignment, and positioning of the menu bar. 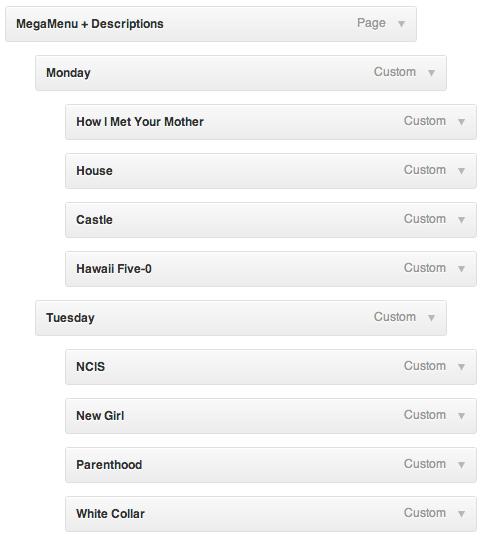 Each menu item is represented by a list item wrapping an anchor link. The list item itself is really just a wrapper; it is purely structural. There is no visual styling (color, etc) applied to it. It does, however, contain all of the important identifying information (IDs and classes) for the menu item. In addition to the link/anchor, the menu item container ALSO wraps any child items of the menu item, which comprise the submenu. We’ll get to that below. The anchor is both the functional and visual part of the menu item. This is the “button” or “tab” or “link”. It wraps both the menu item title and menu item description, as well as the image if one is present. The “submenu” element – the rectangle that wraps the submenu items – is a <ul>. The UL is a child of the top level parent LI. It wraps 4 second level menu items, which form the column headers and each have an anchor and child menu items of their own. It is composed of 1 second level menu item, and 4 third level menu items wrapped in a UL. Now let’s walk though the menu structure piece by piece, starting with the third level menu items. 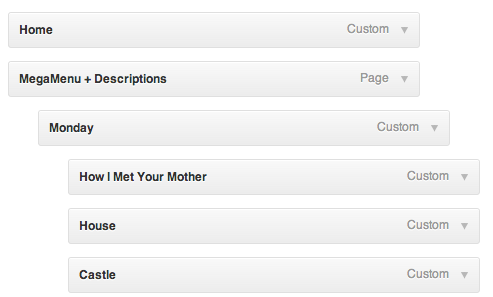 We’ll represent anchors/links with green, list items (LIs) with blue, and lists (ULs) with purple. You can see that the li (blue) wraps the a link (green). 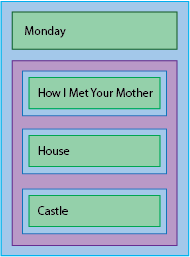 Note how the second level li, represented in blue, wraps both the second level anchor (“Monday”, represented in green), as well as the subcolumn ul (purple), and third level menu items. In this way, the second level menu item container is actually the structural “column” in the submenu. Here’s a top level menu item, MegaMenu + Descriptions. Its child items form the submenu columns. Hierarchically, the top level li is a parent of the submenu ul, but layout-wise the two are adjacent as the submenu is absolutely positioned. 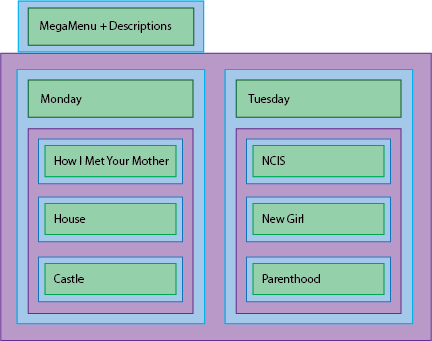 Note how the ul creates the submenu container (purple) and wraps each second level menu item column (blue). This same structure is repeated for all top level menu items.